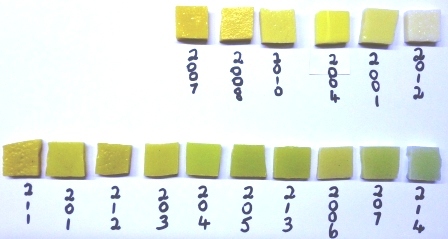 2cm x 2cm BLOCKS The colour range is glorious! This convenient size gives you more scope in your mosaic shapes. TRADITIONAL BRICK CUTS & CONTEMPORARY BLOCKS CUTS! The smalti pieces are hand cut and shapes are mostly squares, but sloped sides and unsual cuts are to be expected in your order. 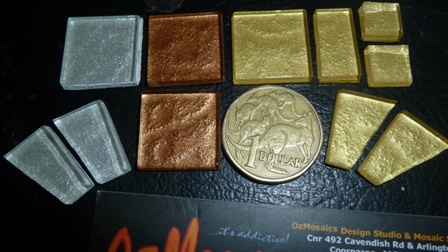 The gloss side is generally used as the visible surface in your mosaic, but you are able to nip the smalti into smaller pieces and use any edge for the top of your smalti. 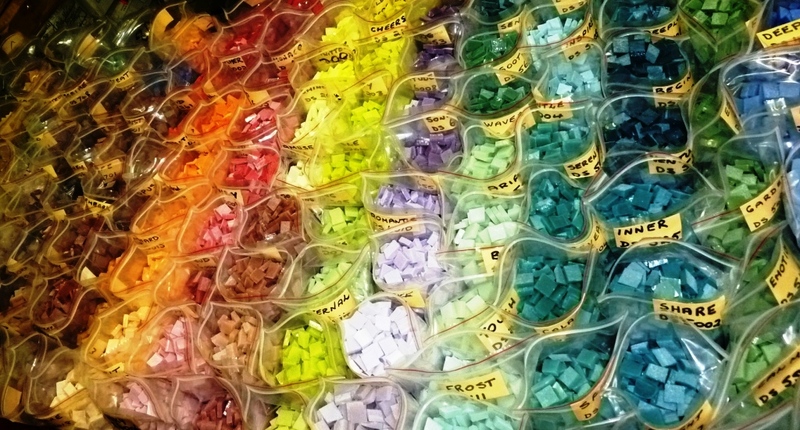 Some pieces are striped on the sides and by nibbling and nipping you can use the lovely colours in the mosaic. The bottom may appear more dull or have a "sanded" look to it. Washing the smalti removes some of the sanded look. 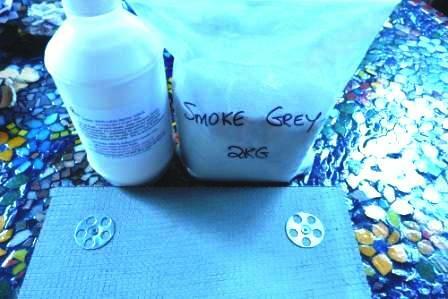 By using either side you are able to add more texture to your mosaic smalti tesserae in your mosaics. Surfaces may be very smooth or have little pocks and pits which give beauty and sparkle, texture and unexpected interest to your art. Combine smalti with other forms of tesserae (mirror, rocks, pebbles, glass tiles, ceramic, china, found objects etc)... whether used as a mosaic solo or part of a very imaginative and exporative mosaic - you will love using Dynasty Smalti. 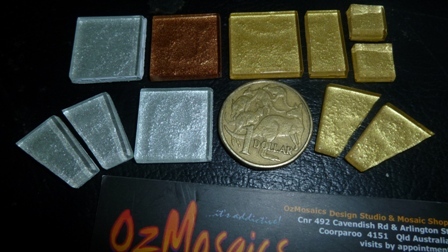 Become a member of CLUB mOz to take advantage of a 10% discount on your Dynasty smalti and enjoy further promotional savings when announced by OzMosaics..